Winston Churchill once described Uganda as the pearl of Africa, a reputation which has sadly been diminished thanks to political turbulence across the last couple of decades. Thankfully however, this political unrest has been dealt with, and Uganda can once again reclaim its reputation as Africa’s pearl. Uganda is set right in the crosshairs between the rainforest of Central Africa, and the savannah of the East, making this a beautifully diverse and exciting place to go. I love Uganda so much that I have been back 4 times, and because of that, here are 4 reasons why I think that you need to get yourself there. Probably the best name for a forest is this one in Uganda, the Bwindi Impenetrable Forest. 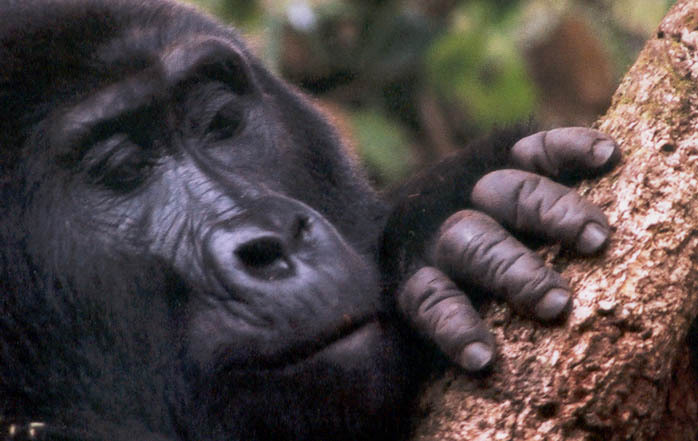 Beyond its brilliant name though, there is even more to this forest, and that is mountain gorillas. Over half of the world’s population of mountain gorillas call this forest their home, and you can also count on paying less to see them here than in Rwanda, as the park permits are cheaper. There is plenty of adventure in Uganda and for those looking for safaris, this is a great place to take one. It should be noted that if you are on the lookout for the big 5, you will not be able to see them here, but that shouldn’t put you off a safari in Uganda. Here you will be able to see lions, hippos, and leopards, as well as the Ugandan cob, and over 500 different species of birds. If that wasn’t all, you can also see elephants, chimps and giraffes. When Churchill mentioned that this place was the pearl of Africa, he must surely have been speaking about the scenery which can be found here. On one side of the country you have the Rwenzori mountain range, with its snow-capped peaks and a landscape so beautiful that it has been nicknamed the Mountains of the Moon. On the other side of the country you’ll find the sprawling Lake Victoria, the second largest in the world, and up north you will witness thick and boggy grasslands, Uganda really has it all in terms of natural settings. For mountain gorillas you will only see them in Rwanda and Uganda, with the expiation of some private collections, and the samples for these chimpanzees. There are some brilliant trekking options which you can take that will take you straight to the heart of the chimpanzees home, where you will be able to stay for a couple of hours before leaving the little guys in peace. There are both day and night tours where you can trek with the chimps, and the experiences are absolutely brilliant and done in a highly professional way that looks after the chimpanzees, and ensures a great time for the guests. Uganda is a place like no other in the world, and I cannot recommend it enough to anyone who is looking for an amazing African experience.